14,659 Parish Maps from England and Wales! Cassini Maps has created these Old Parish Maps an essential resource for family history researchers, genealogists and historians. As parish boundaries have changed over time, its essential to know where your ancestors lived and to understand the landscape that shaped their lives. 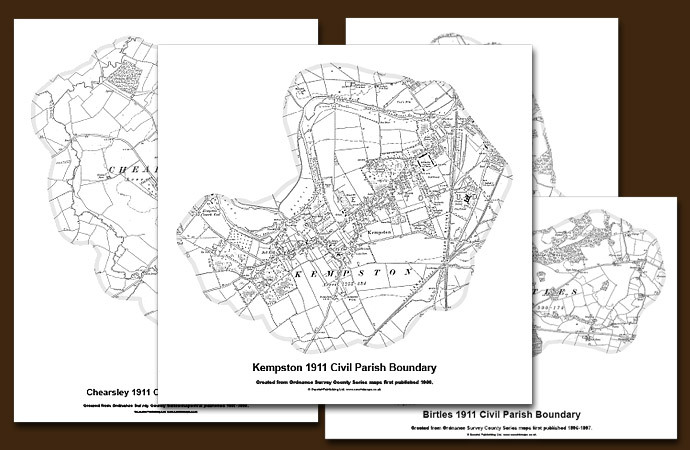 Cassini has reproduced County Series Parish Maps for the whole of England and Wales. This involved combining more than one original sheet to give an appropriate area of coverage. In the process, the maps have been digitally enhanced and enlarged slightly to 1:10,000 to bring them into line with more recent maps at this metric scale.